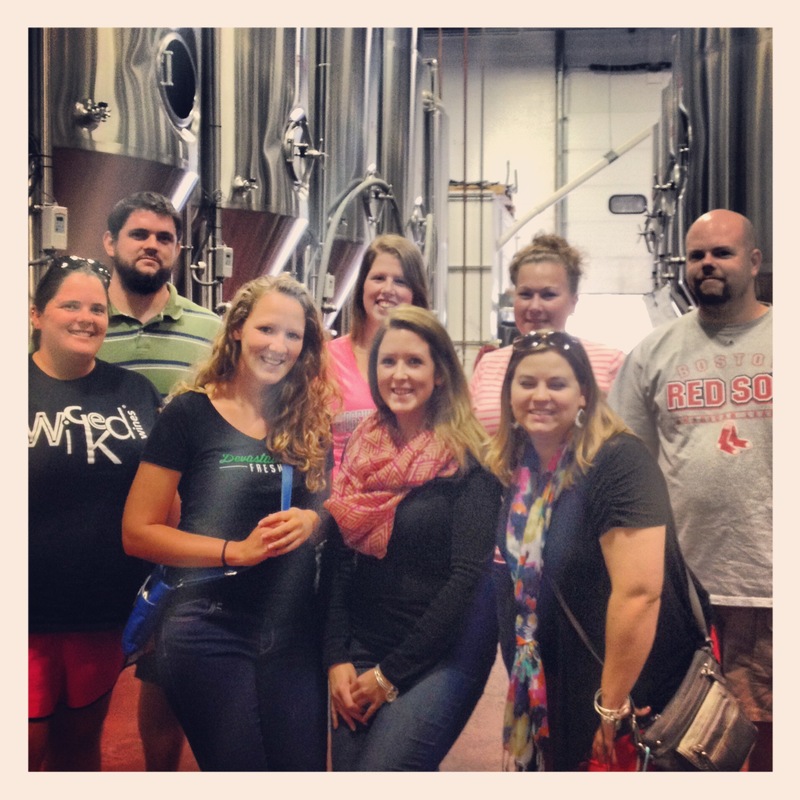 Mayflower Brewing, Plymouth MA – Breweries, Wineries and the fun in between! 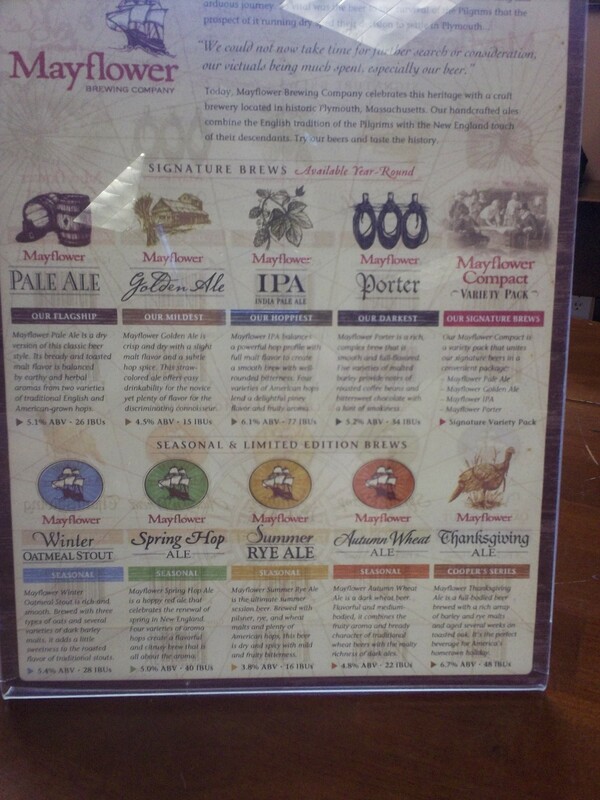 Mark, myself and a few friends went to Mayflower Brewing Company, located in Plymouth Ma, as part of my birthday celebration. 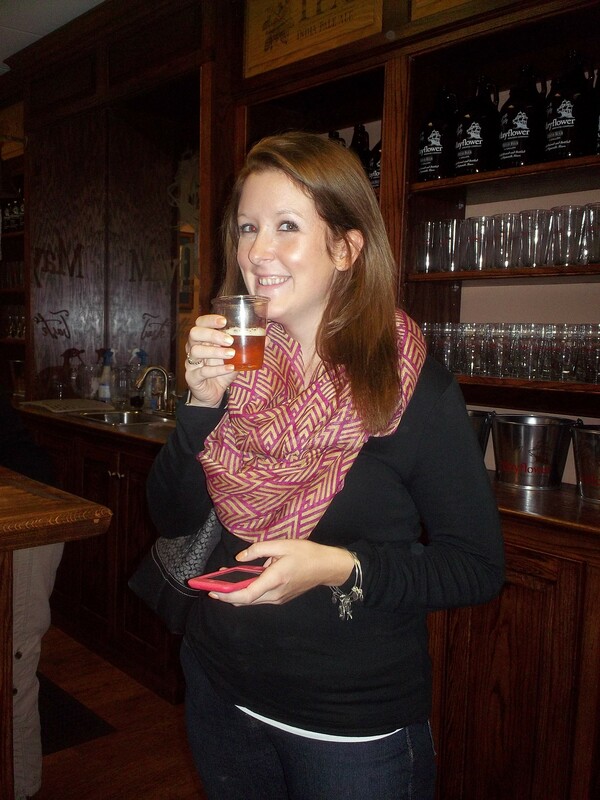 My sister Samantha joined us- it was her 1st brewery (she had joined us a few weeks before for a trip to Cape Cod Winery). 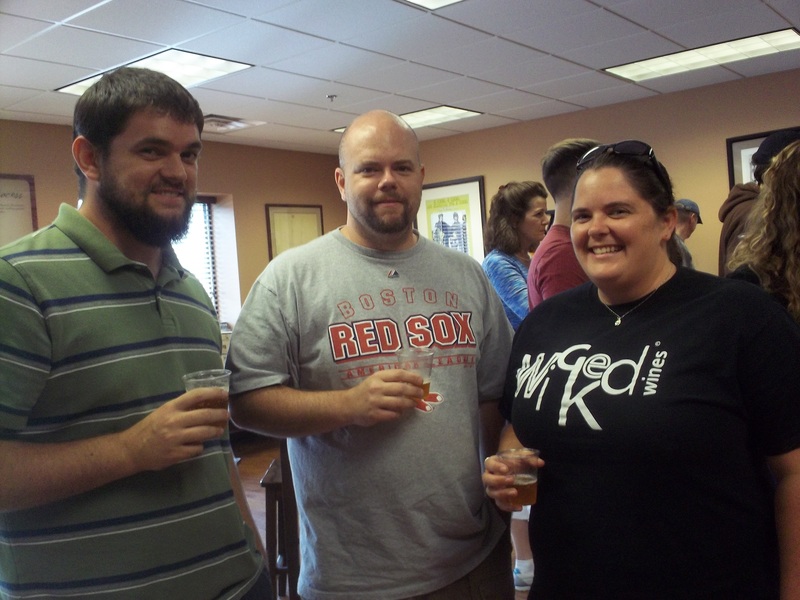 Mark’s brother Jason and sister Michelle joined us (they had both been with us when we visited Blue Hills Brewery, and Michelle when we had visited Flag Hill Winery and Distillery). 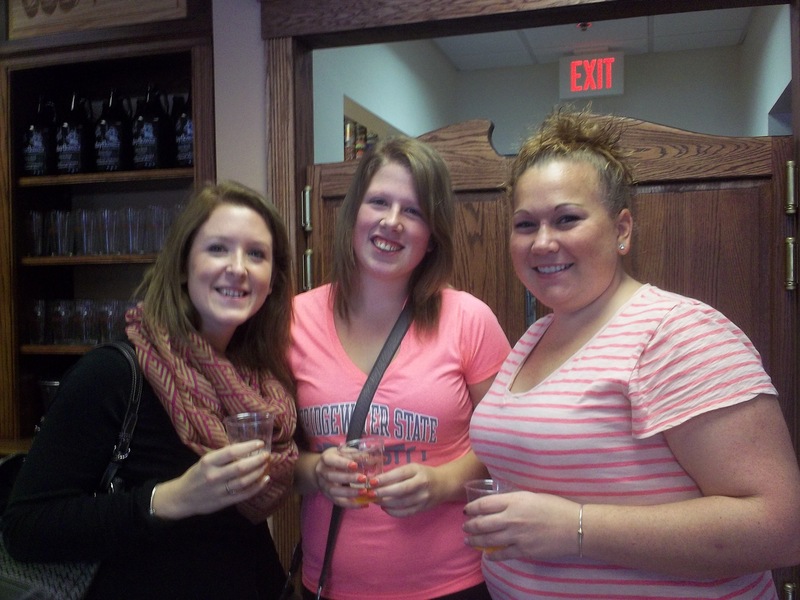 Our friends Andrea (went to Cape Cod Winery with us), Bre (went to Gilmanton Winery with us) and Katrina joined us as well. 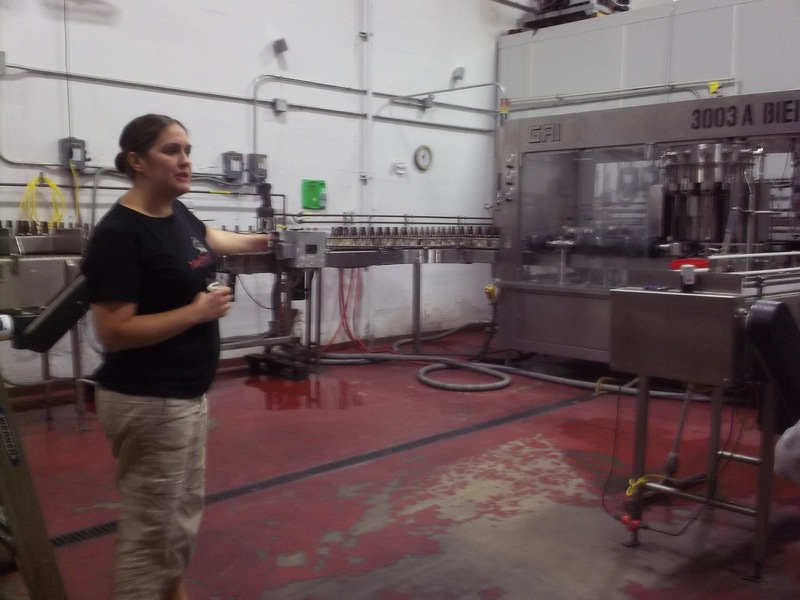 After we visited Mayflower Brewing Company, we went to Plymouth winery! 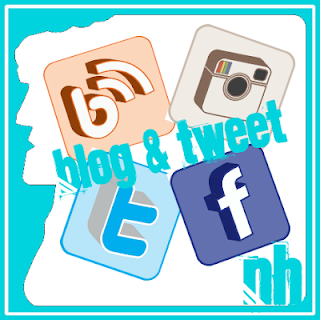 See that post soon! 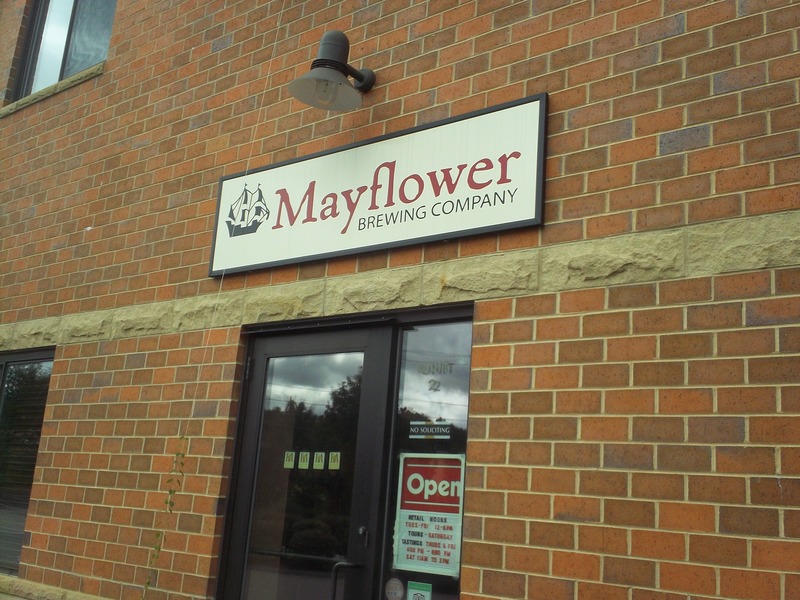 Mayflower is located in an industry park area of Plymouth, off of exit 7 near Colony Place. When we entered, we were welcomed and quickly started our tasting. The glasses were larger than dixie glasses, and we were given decent sized pours for each beer. 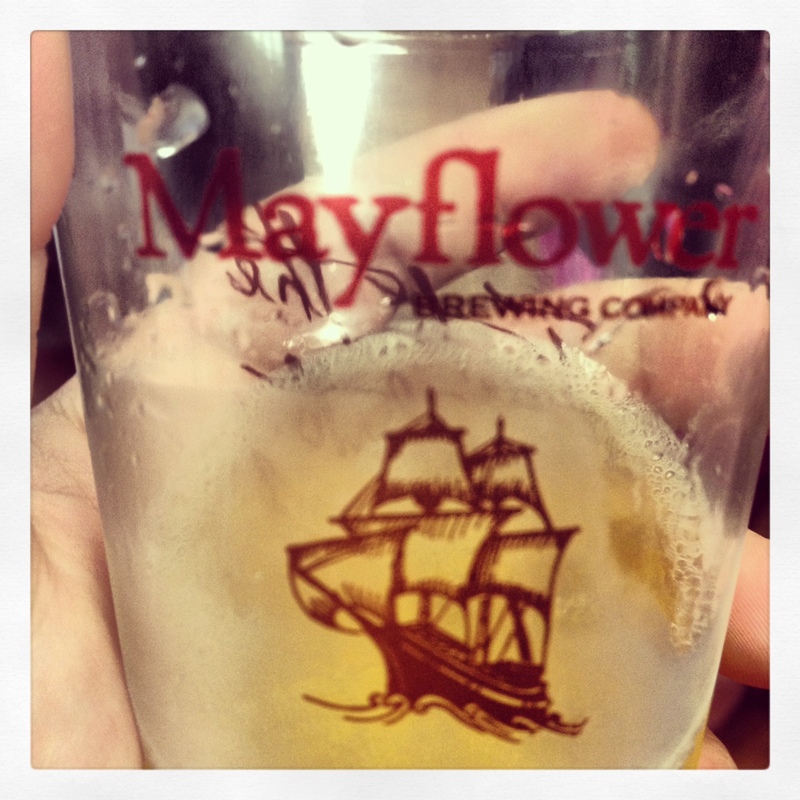 Mayflower Brewing had us try 7 beers. We were lucky enough to be able to try both the Summer seasonal as well as the Fall seasonal. 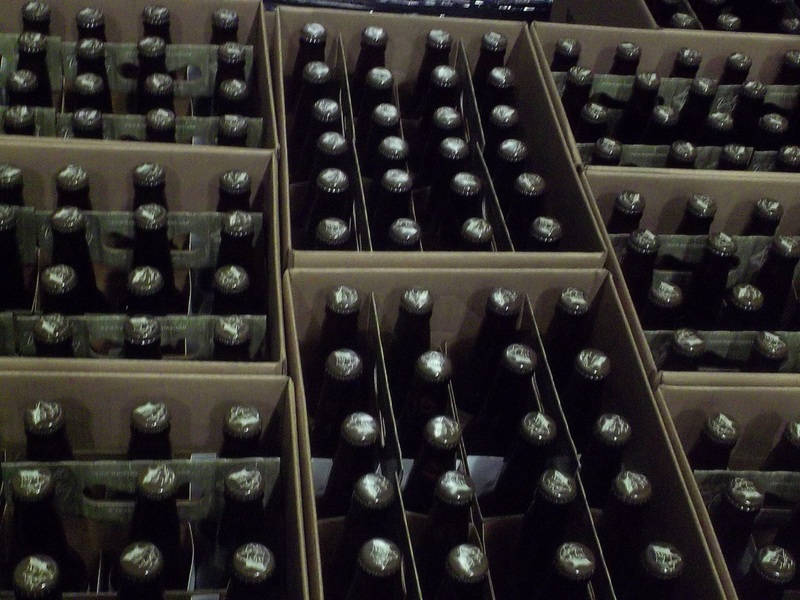 Summer Rye Beer: A Belgian style rye. Good flavor, but wouldn’t be my first choice for a summer beer. Michelle shrugged, that it was ok. Katrina doesn’t care for Belgians in the least (so I enjoyed most of her pour). 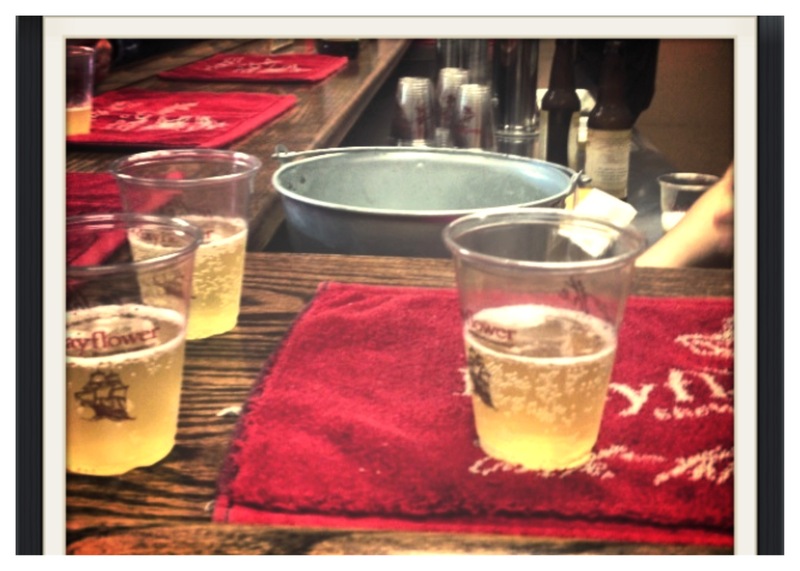 Mark liked it, stated that it is defiantly a summer beer, but doesn’t have a fruity taste as many summer beers do. Pale Ale: British in style has more bitters in it. I actually liked it, which surprised me (I usually don’t enjoy Pale Ales). 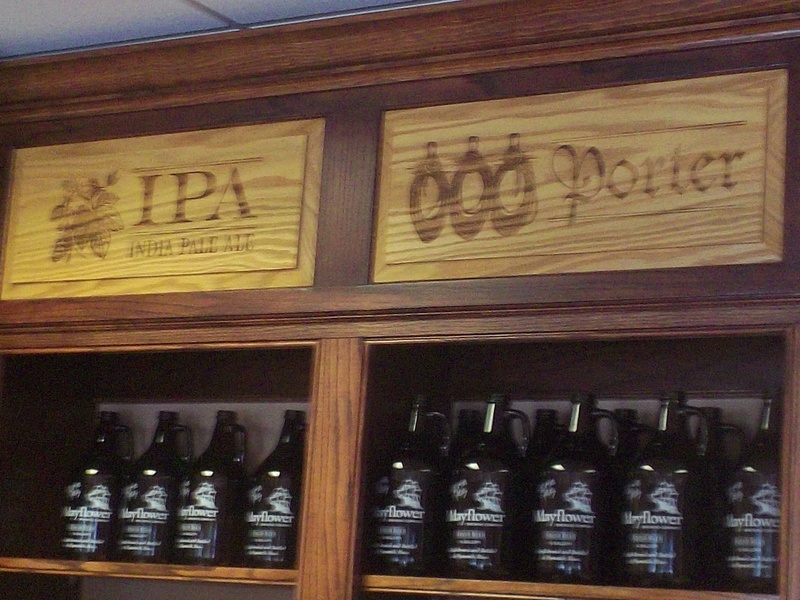 When I mentioned this to the woman pouring our beer, she mentioned that their Pale Ale is British in style, and has more bitters in it than an American Pale Ale. Mayflower IPA: surprisingly good. 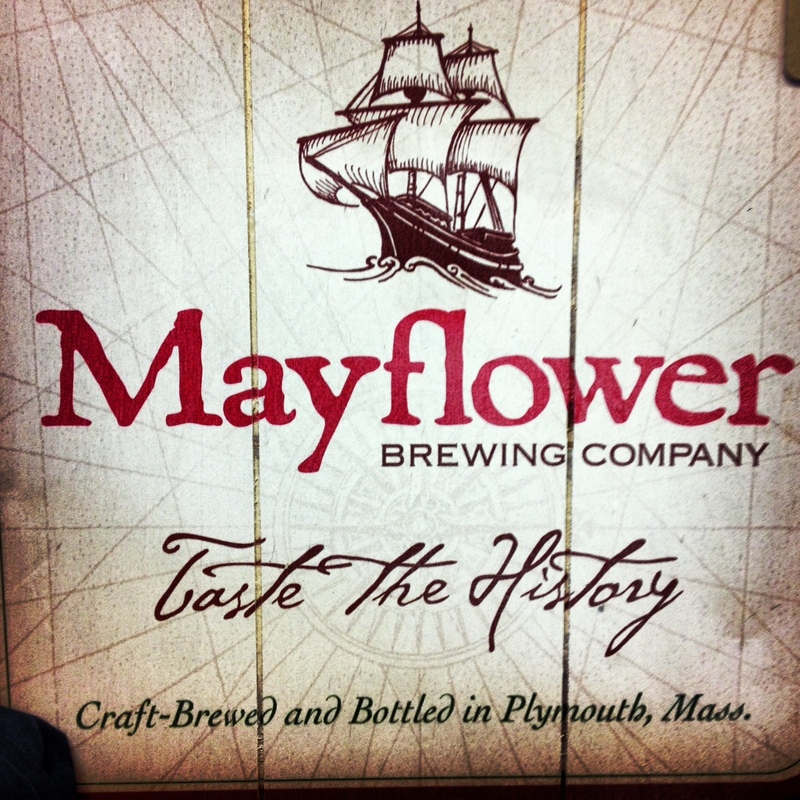 Mayflower uses four varieties of American hops to create a balanced flavor. 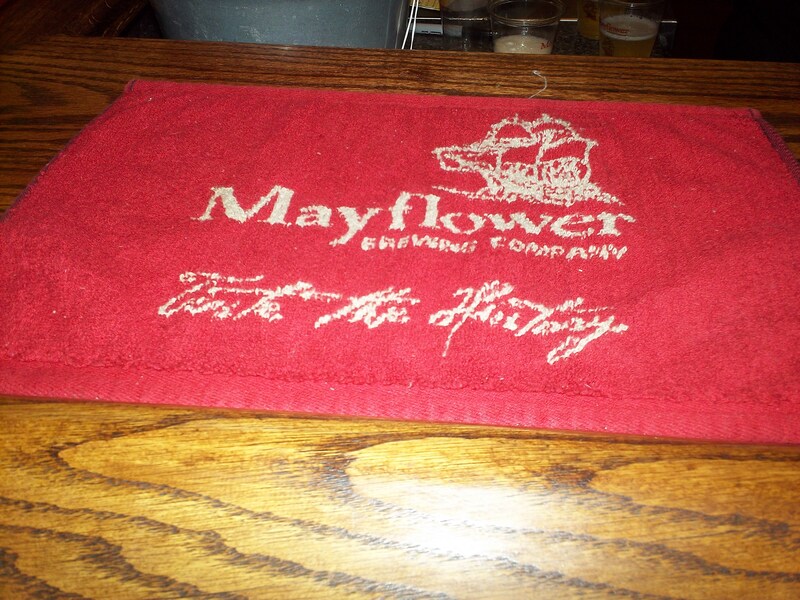 Both Michelle and I are not typically IPA lovers, but we could say that we enjoyed Mayflower’s IPA. 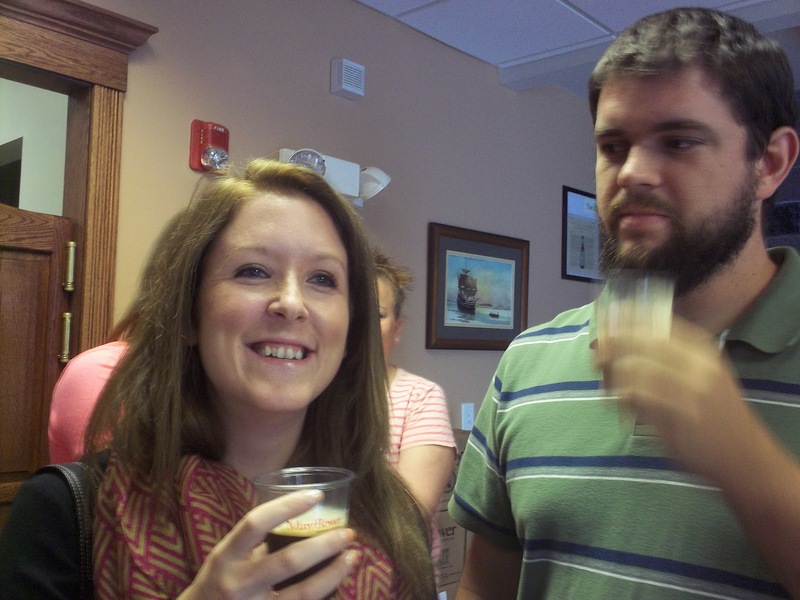 Sam enjoyed drinking it, but did not like the after taste, she wanted a piece of gum after. 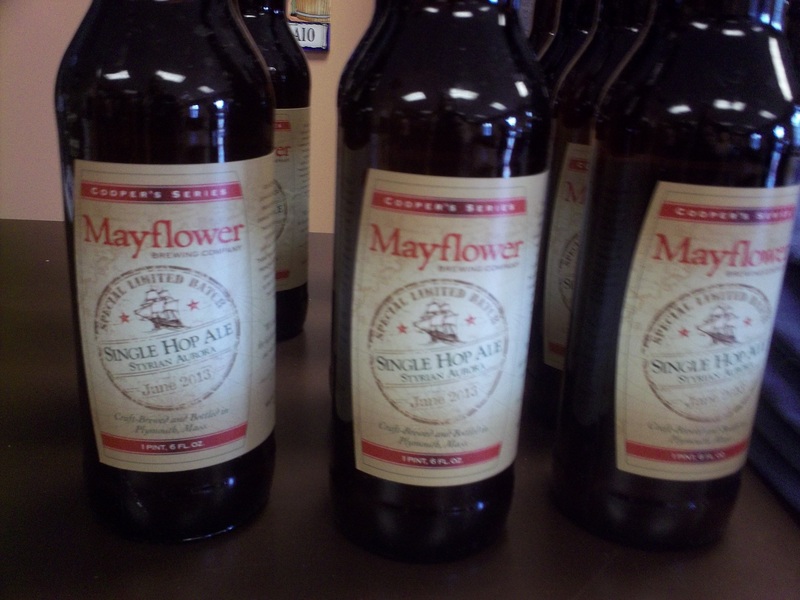 Mayflower Porter: Mayflower uses five varieties of malted barley to make this delicious porter. Not heavy tasting. Sam stated that “it look(ed) like soda” when it was first poured. Good porter. 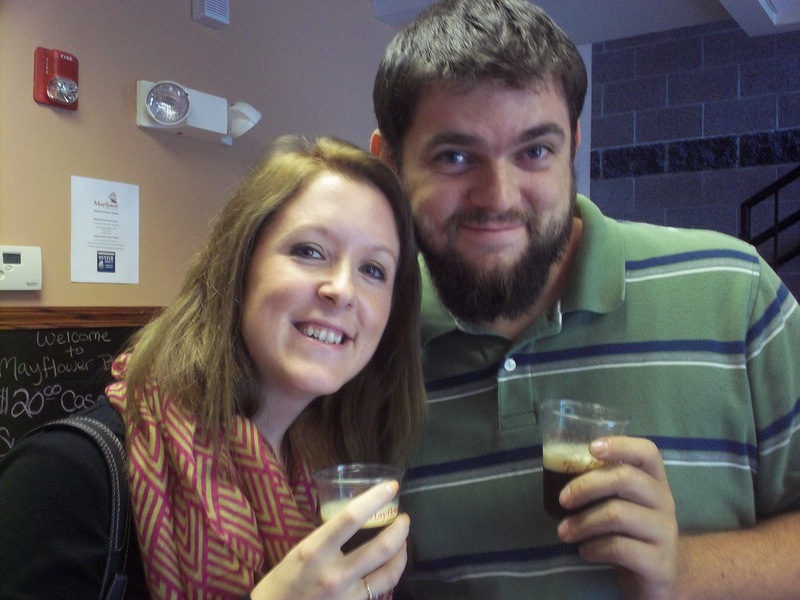 We also tried the Single Hop Ale as well as the Mild. Both were part of the “Cooper Series.” I really enjoyed the Mild, it was delicious, but definitely a beer I could only do a pint or two of. 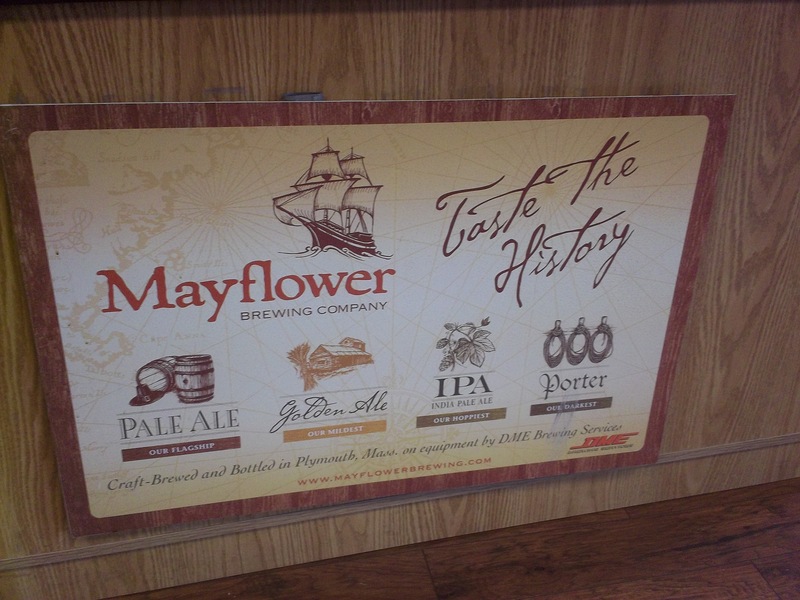 Katrina stated that she has enjoyed Mayflower beers before, but finds it is only good when it is super fresh (not in a bottle, or an old keg/tap line). Jason didn’t have one he didn’t like. At the beginning of the tour, we were instructed to keep our shoes on and not to touch anything. And to keep our shoes on. Apparently people feel the need to walk around without their shoes on in a factory? 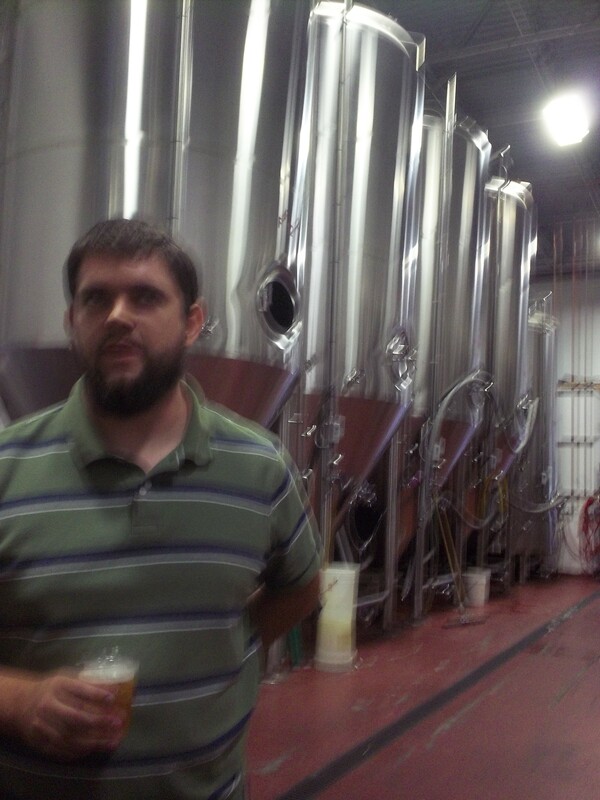 The brewery smelled like a farm, as someone pointed out. 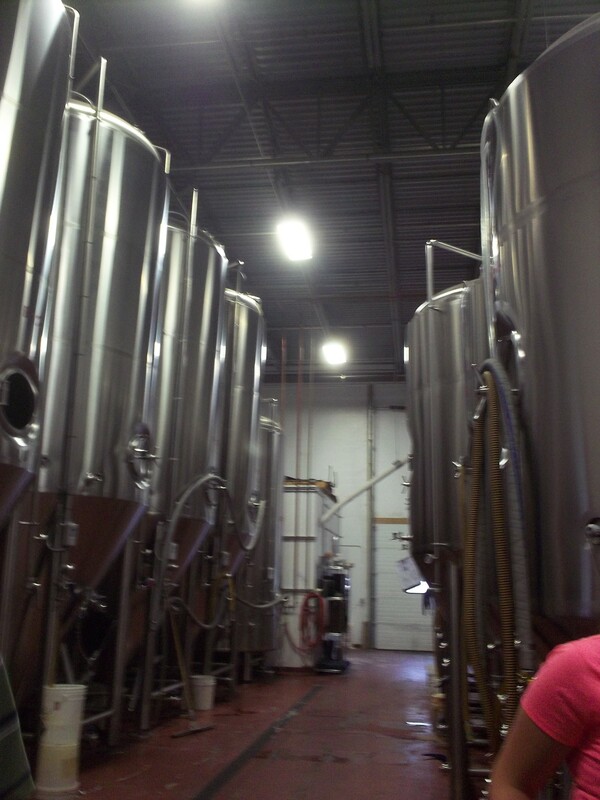 The scent was due to the grain that is being used by the brewery. 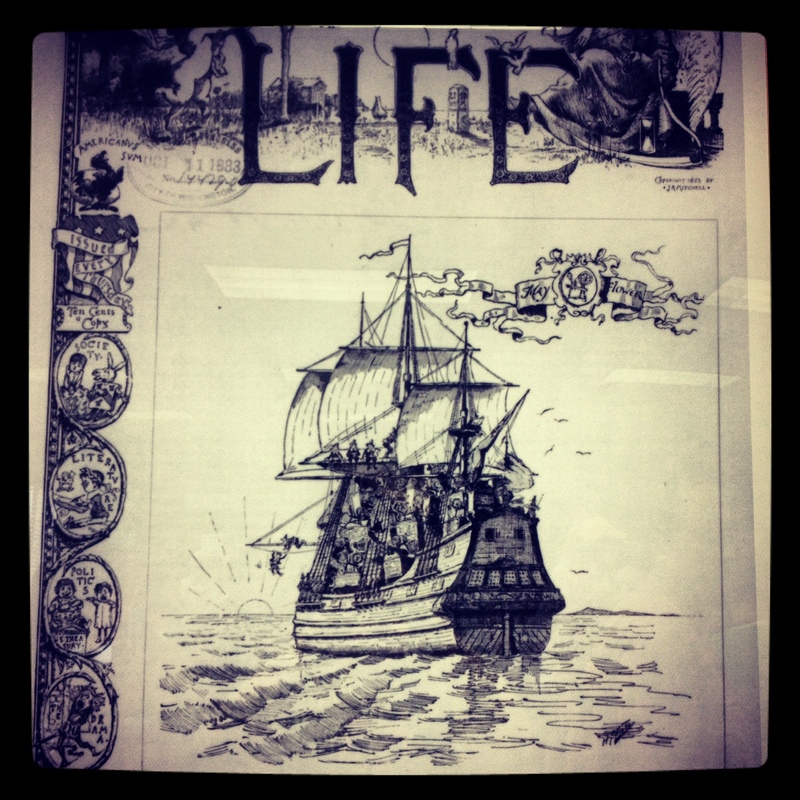 2. the owner is a 10th generation descendant of the cooper on the Mayflower (John Alden). A cooper? What’s that? 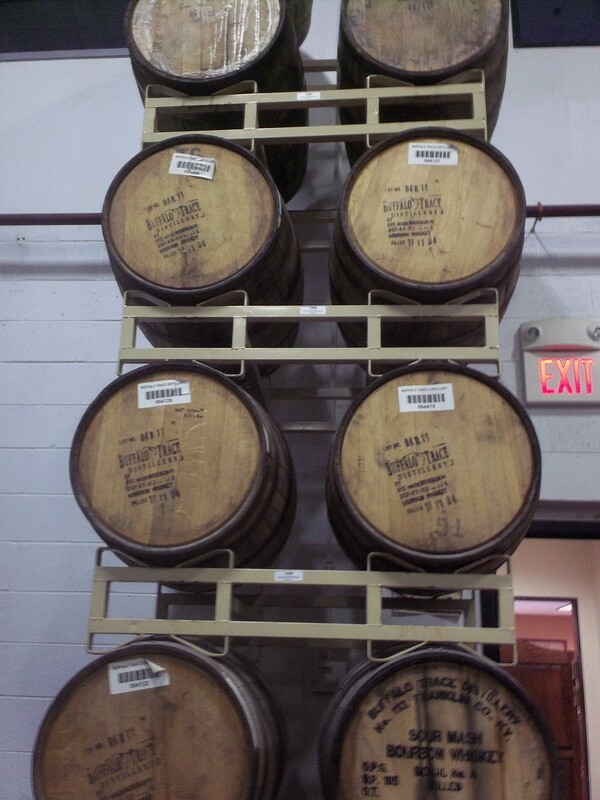 John Alden was responsible for the many barrels of beer that were on board the Mayflower. 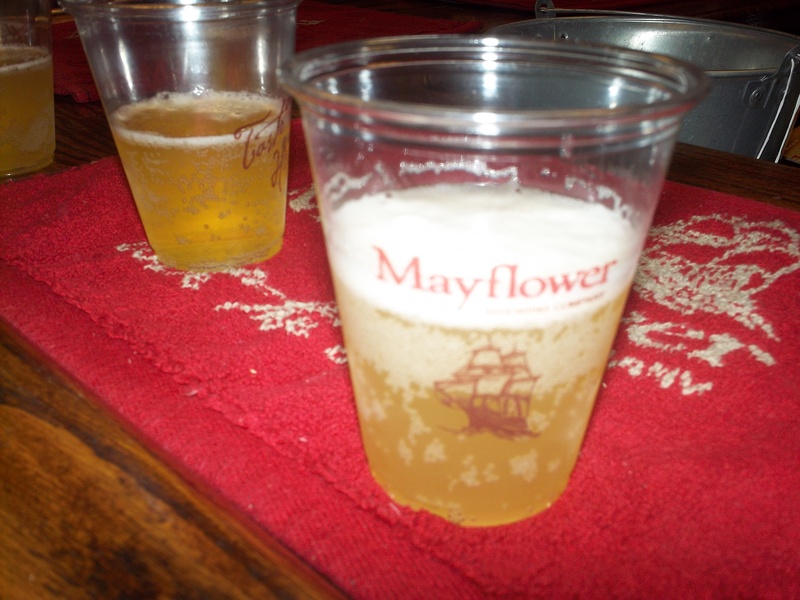 According to the tour, those on board the Mayflower had thought about landing in Provincetown, but did not because there wasn’t a running water source for them to make beer (which they needed to survive). 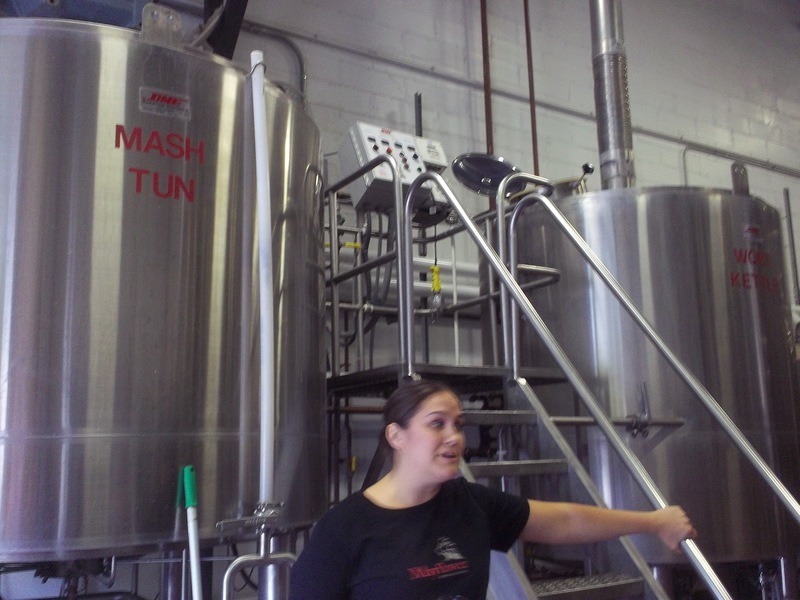 The tour went over the brewing process, and the tour guide compared the beer making process to something most are familiar with: making tomato sauce. We found out that all of their bees, with the exception of the Summer Rye are filtered (Summer Rye still is, but not to the same effect). 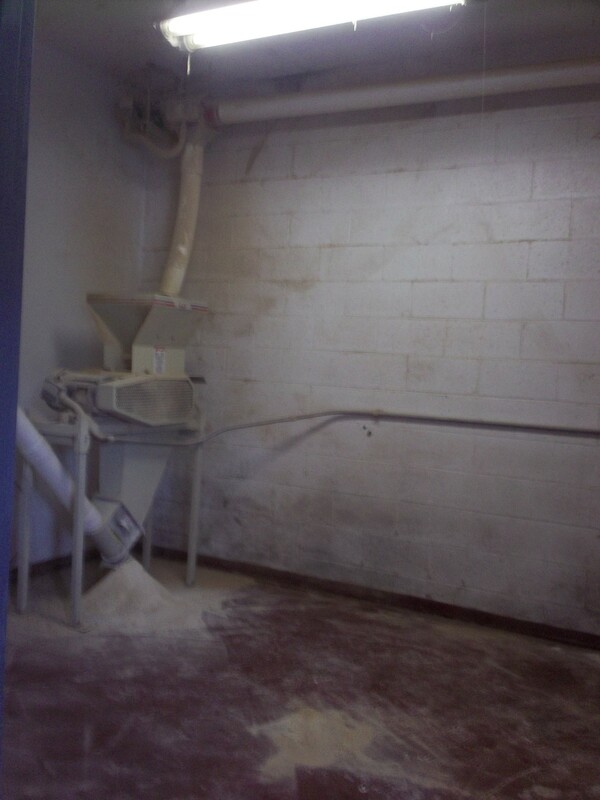 We had the opportunity to see their Mill Room, where they keep the grist. 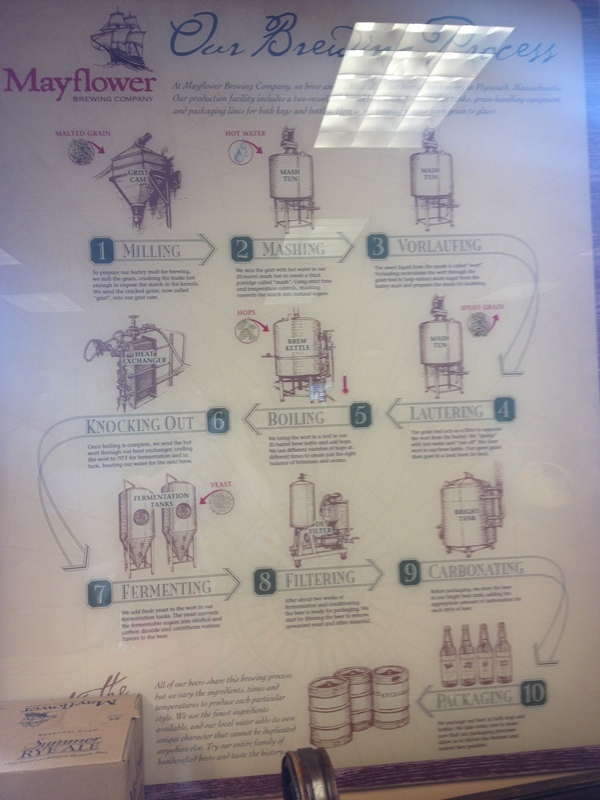 Mayflower Brewery tries to be as green as possible, and they send the spent grain to local prisons for farm land. 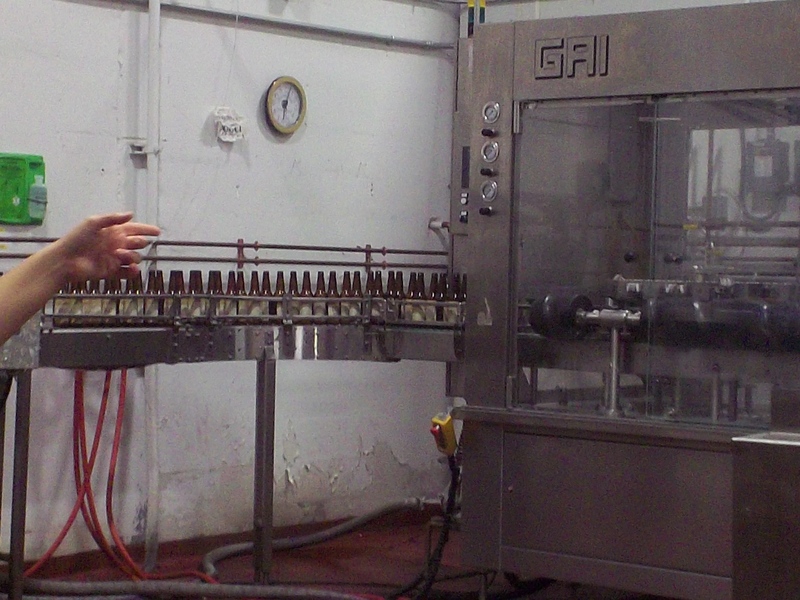 Mayflower does not use chemicals to help close and seal their bottles. 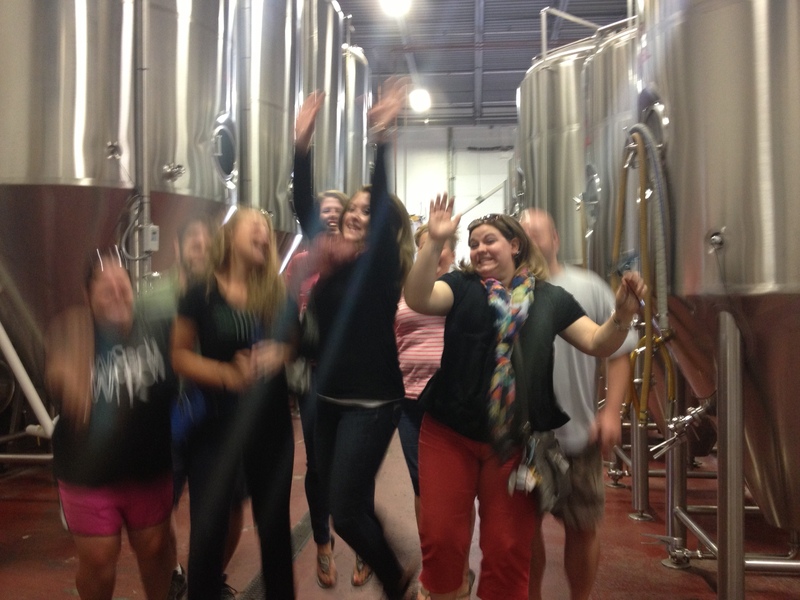 Michelle commented at the end of the tour that it was good and the tour guide was personable. For our last picture, she told us to JUMP! Thank you very much to Bre, who stole my camera (and then proceeded to take photos with her phone when it died)! What else did we do for my birthday celebration? 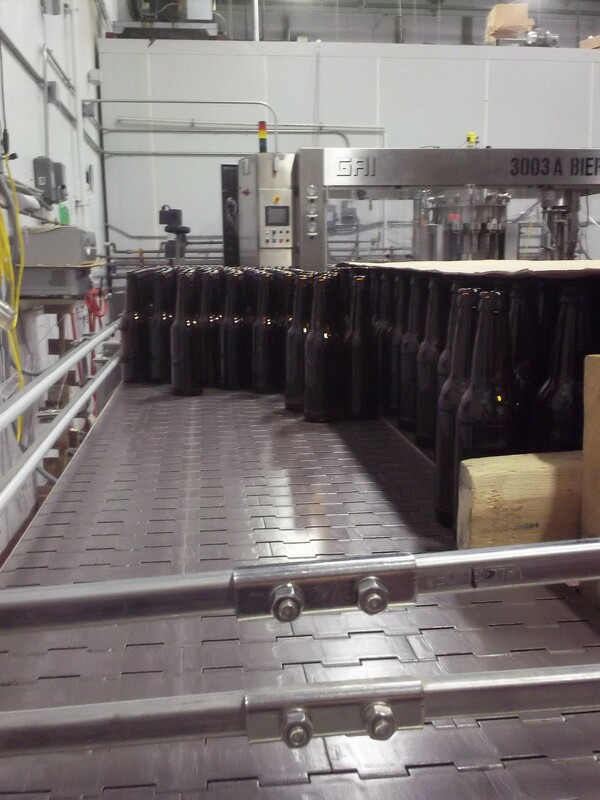 Soon to come, Plymouth Winery! 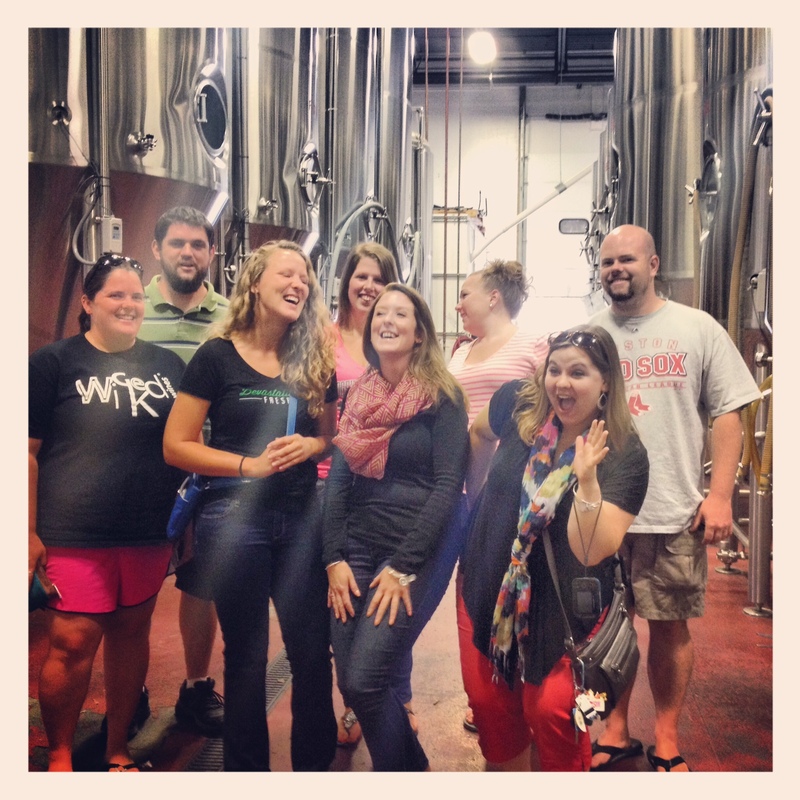 Pingback: Plymouth Winery, Plymouth MA | Breweries, Wineries and the fun in between!